Bare legs for days.... I'm back home and was greeted by frigid temperatures. These pictures are from a couple of weeks ago on an oddly warm day. Now I will be wearing some fleece tights and tons of layers to even go outside for 10 seconds. This playsuit might go down as one of my favorite Zara pieces. Complete with crisp pleats and a sheer back, it channels modern Parisian chic. This is so cute! 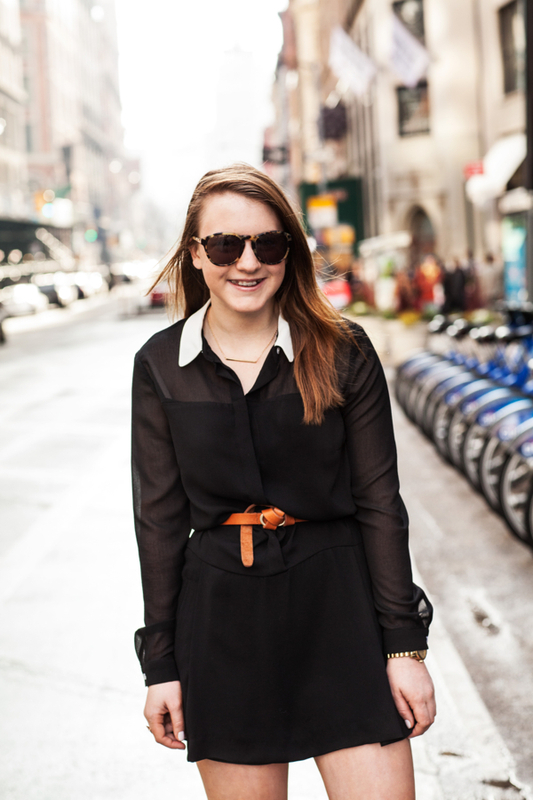 I love the NYC background and the all black with pops of brown is classic! I'm dying to get back to the city. Love this Sloaney! The belt is such a great touch. Love how you styled the necklace! I knew it was such a perfect fit for your style! I love this look Sloane! It's legit so perfect! I'm dying for warmer weather so we can all have bare legs once again! The cold is killing me! I seriously love this! The playsuit looks so amazing on you, and I love the black + brown! The backdrop is killer, too!